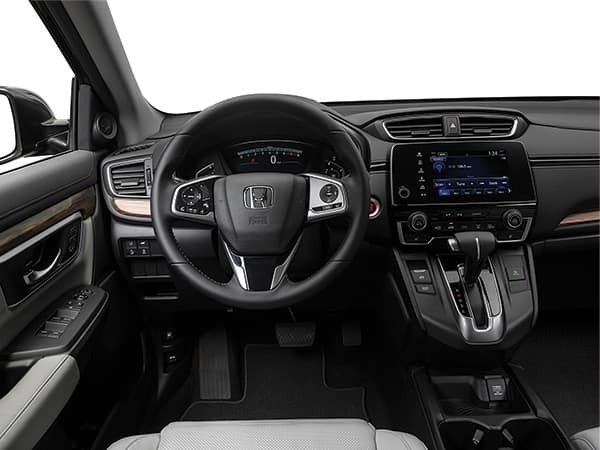 The all-new 2017 Honda CRV is filled with luxury conveniences and modern technology. 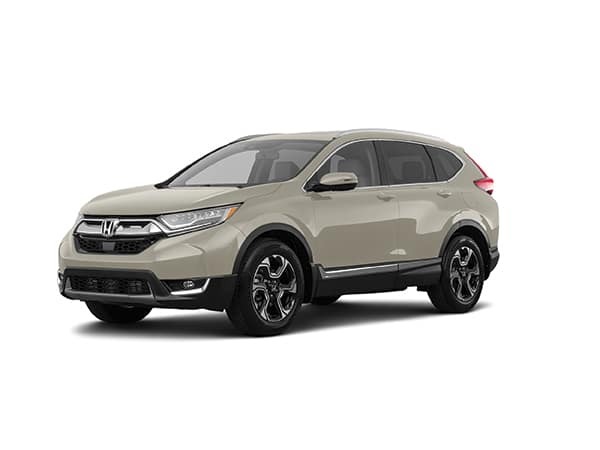 It is more spacious than previous CRV models and offers a powerful 184hp turbocharged engine that makes it easy to take this vehicle on long road trips or rough roads. The CRV receives 26mpg city and 34mpg highway. The CRV’s preventative collision measures help relieve the stress of driving. Along with safety measures the CRV is very efficient for its SUV Class and offers a spacious cargo space. The CRV’s safety measures, efficiency, and spacious interior and cargo space make the 2017 Honda CRV is a great all-around car. 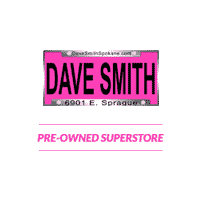 Find used 2017 Honda CRVs at Dave Smith Spokane today! The Honda CRV comes with a 184hp iVTEC® 4-cylinder engine and can be upgraded to 190hp turbo with intercooled DOHC features. These engines are meant to pull in winter conditions and preform for long road trips. All the while they have the capability of carrying up to 39 cubic feet of cargo. To give perspective, that’s more bags than a family of 6 can carry. The drivetrain was meant specifically to haul and remain efficient. If you need space, storage and accessibility, then the CRV is the AWD SUV for you. 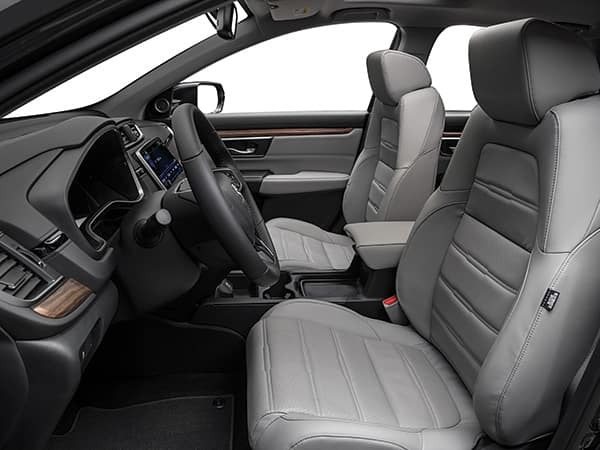 The Honda CRV comes in 6 fabric and leather options which look sleek and subtle. The HondaLink™ infotainment system, a large display with simplistic buttons, is meant to make things easier for you. Turn on the Honda Sensing™ suite and you can cruise the roads with minimal stress.